Who Is Rachel Tabachnick, and Why Is She Attacking Phyllis Chesler? This may be a more important question than it appears at first glance, because you may not know who Phyllis Chesler is, and you’ve almost certainly never heard of Rachel Tabachnick. But there is a mystery afoot, so follow the clues, Scooby-Doo. First things first: Phyllis Chesler is an important feminist author who, after 9/11, began speaking out against abuse of women in Islamic societies, criticizing feminists for their silence about about such issues, and warning of the rise of left-wing anti-Semitism. She is the author of The New Anti-Semitism: The Current Crisis and What We Must Do About It (2003) and The Death of Feminism: What’s Next in the Struggle for Women’s Freedom (2005). We know who Chesler is, but what do we know about Rachel Tabachnick, who has written an article at the Forward‘s Web site accusing Chesler of “single-minded zealotry” and “promoting the Religious Right and its Christian nationalism” as part of “The War Against Tolerance”? Rachel Tabachnick is an independent researcher specializing in Christian Zionism and its impact on Israel, Jews, and interfaith relations. . . . In 2006, Rachel began collaborating with Bruce Wilson, cofounder of Talk2action . . .
Rachel has a B.A. in History and M. Ed. 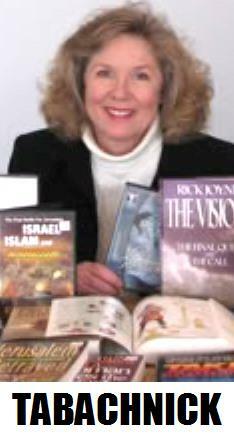 in Educational Media, and she brings to her research unique life experiences including having spent the first half of her life as Southern Baptist and the second half Jewish. Talk to Action, the first national interactive blog site devoted to discussing the theocratic Christian Right and what to do about it, will host a national “e-conference,” on the Talk to Action site, featuring writers and editors of Mother Jones, which is publishing several articles about the religious right in the next issue. The event will begin at 10am EST, Tuesday, November 29th. All of which is to say that Talk2Action, on which Wilson and Mrs. Tabachnick are “collaborating,” is a political project originated at Daily Kos in 2004 by a partisan opponent of the Bush administration. The goal of Talk2Action is to defeat Republicans by discrediting conservative Christians, portraying them as dangerous, intolerant kooks. UPDATE: Linked as “Post of the Day” at Legal Insurrection. I think this makes a great follow-up to Offend a Feminist Week – to accentuate the work of a *real* feminist, who actually cares about the well-being of women in places where they are *actually* oppressed. Good on her, and on you. Articles like this one are why I read your blog. Well done. They cannot be happy with the Obama-Corporate ruling class. Tariq Ramadan and circle likely one ultimate to whom the tracks lead. That means the White House. On the other hand, “The Christian Right” is (a) hardly a monolith and (b) hardly ever Christian or right. Still, point taken on these irredentist operatives from Pittsburgh. The White House ? Oh, please. Sorry to burst the speculative bubble, but the Talk2action monthly site hosting is $26 and change – which I’ve paid for most of the site’s existence. And, contributors are unpaid. Big financial backers (liberals, conservatives, aliens, whomever) would be great. However, what Talk2action does is unpopular across the political spectrum. But, please, don’t interrupt this fantasy on my account.